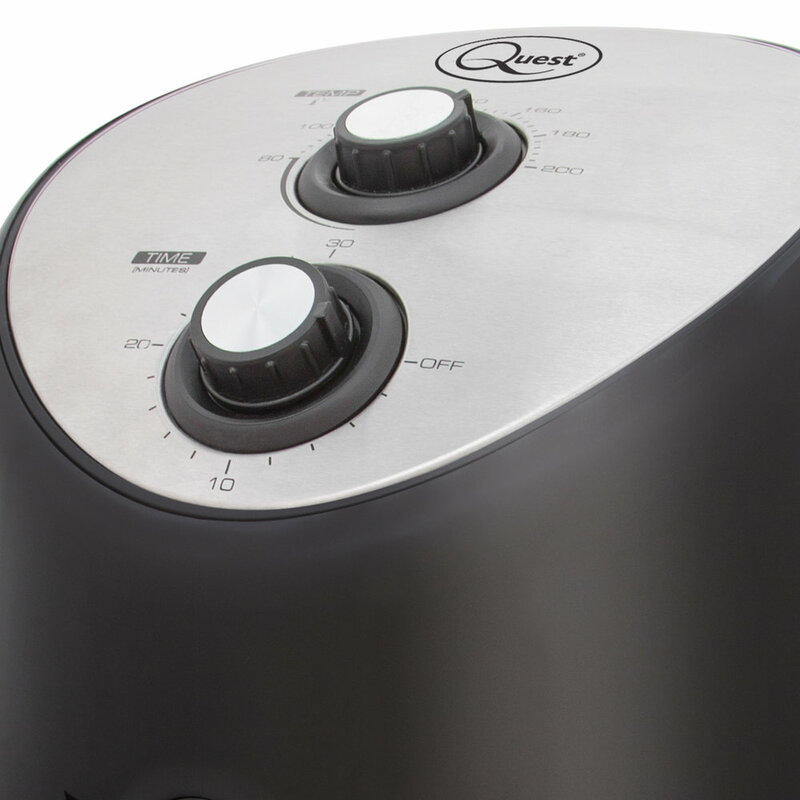 The Quest brand brings you this 2.5 Litre Thermo Air Fryer. Dynamic Air Technology delivers all the flavours but with minimal oil. Use little or no oil! 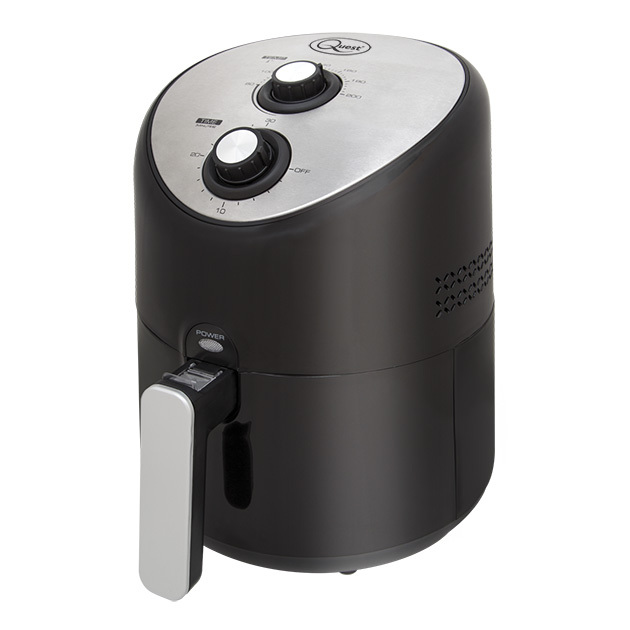 This powerful 1300W 2.5L Thermo Air fryer with Dynamic Air Technology ensures your food is crisp on the outside and perfectly cooked on the inside. 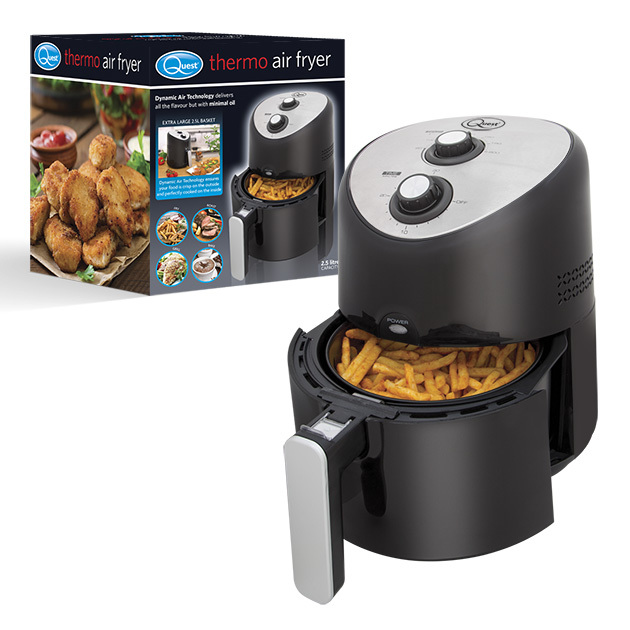 Dynamic Air Technology ensures your food is crisp on the outside and perfectly cooked on the inside. 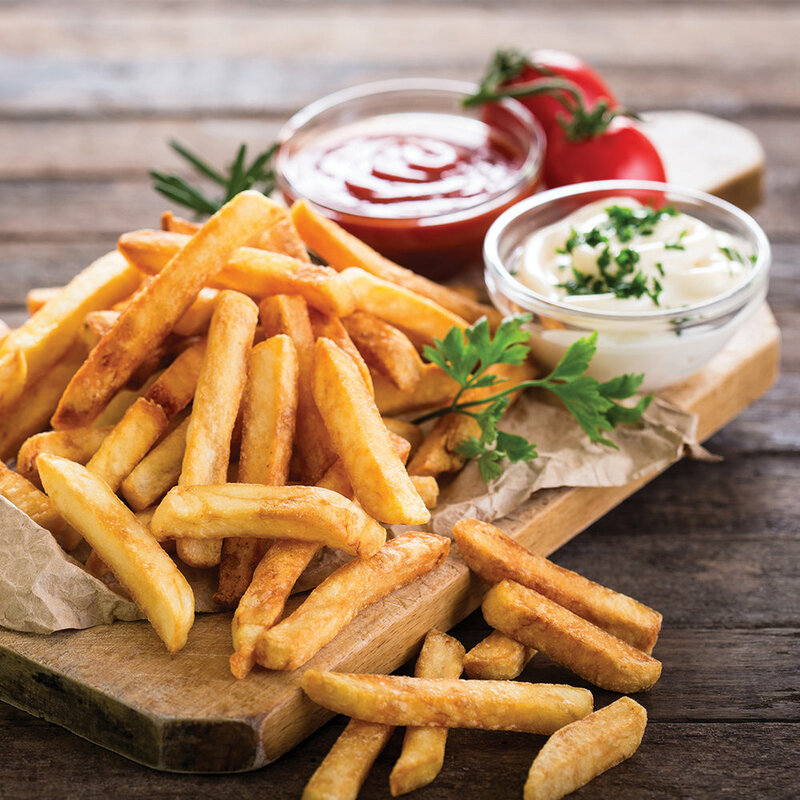 Dynamic Air Technology delivers all the flavours but with minimal to no oil! 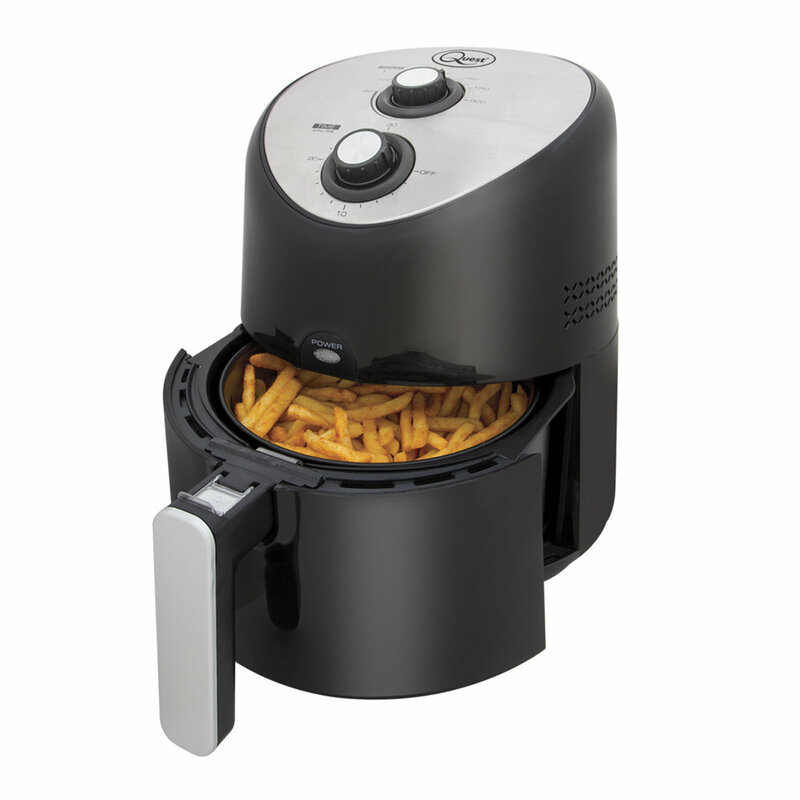 Featuring pre-set cooking times as well as a 30 minute timer and variable temperature control from 80 to 200°C. With a extra large 2.5 Litre capacity basket, feeding the family the healthier way will be no problem. Design & Copyright © 2018 Quest. All rights reserved.